If you have trouble registering or run into any errors please see this article. 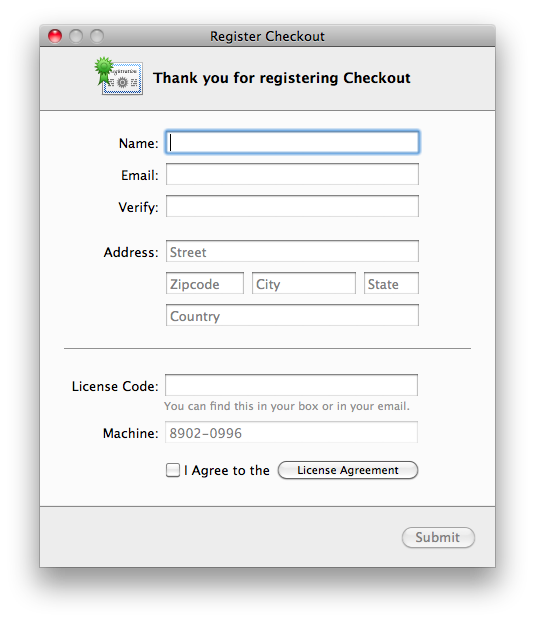 Your Checkout License Code (aka, License Key, Registration Code) is required to register your Checkout Software. If you received your Checkout software on a DVD along with your hardware bundle, your license code is located in the DVD sleeve. If you purchased Checkout online, your license code will have been emailed to you. If you do not register Checkout within 30 days, the application will no longer work for you. Your store's data will remain intact; however you will not have access to your Store until you register Checkout. You will need to register the software to continue using Checkout beyond the 30 day trial period.